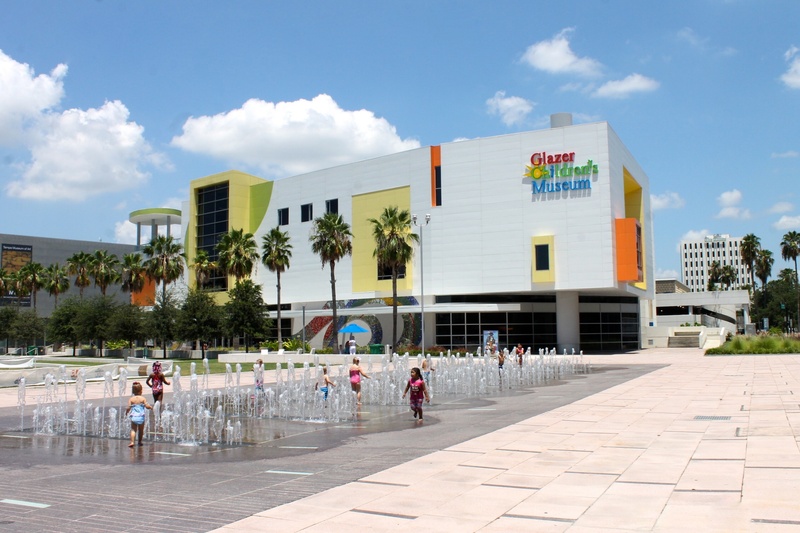 Disclosure: We received complimentary tickets to visit the Glazer Children’s Museum in Tampa, the perfect place to spend a fun day with kids in Tampa. However all opinions are sincere and are my own. 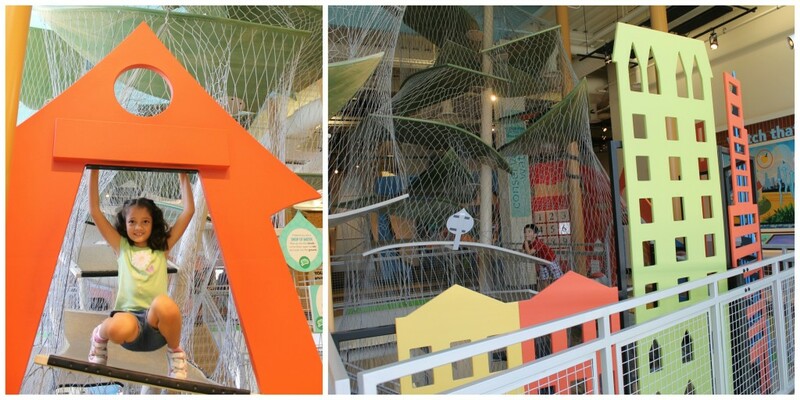 53,000 feet and 3 levels of interactive, hands-on fun for kids at the Glazer Children’s Museum. Photo: Paula Bendfeldt-Diaz all rights reserved. Just a few hours away from Southwest Florida Tampa is a great place for families to visit for the day or the weekend. There are lots of things to do for the kids and one of our favorite places to visit is the Glazer Children’s Museum. Located in downtown Tampa and next to Tampa Museum of art the Glazer Museum overlooks the Curtis Hix park. The 53,000 building is packet with over 170 interactive exhibits, educational programs and a resource center. The KidsPort area is filled with interactive water play fun. Photo: Paula Bendfeldt-Diaz, all rights reserved. As soon as we walked in my children, 5 and 7 ran towards the KidsPort, a huge water play area where children can explore activities from navigating through a shipping channel to loading and unloading cargo in the harbor. I had to pry my little guy away from here so we could go explore the rest of the museum because he could have stayed here for hours moving boats across the harbor, building bridges and exploring the importance of how water moves. In the first floor you will also find a sand play area for kids to dig and have fun and to my delight and surprise the “sand” is made of tiny plastic particles that look like sand but don’t stick. A toddler area provides a safe place where the little ones can pretend to fish, ride on a fun tug boat or wind down in a play area filled with books and tot geared toys. My big girl flying a biplane all by herself. Photo: Paula Bendfeldt-Diaz, all rights reserved. On the second floor a great variety of play stations filled with hands-on fun let children explore and experiment from flying their own biplane and learning about languages to building with Legos. The Art Smart section is filled with fun activities that will let kid’s imagination and creativity soar from writing your name with fluorescent light to making noodle sculptures or creating your own kaleidoscope. 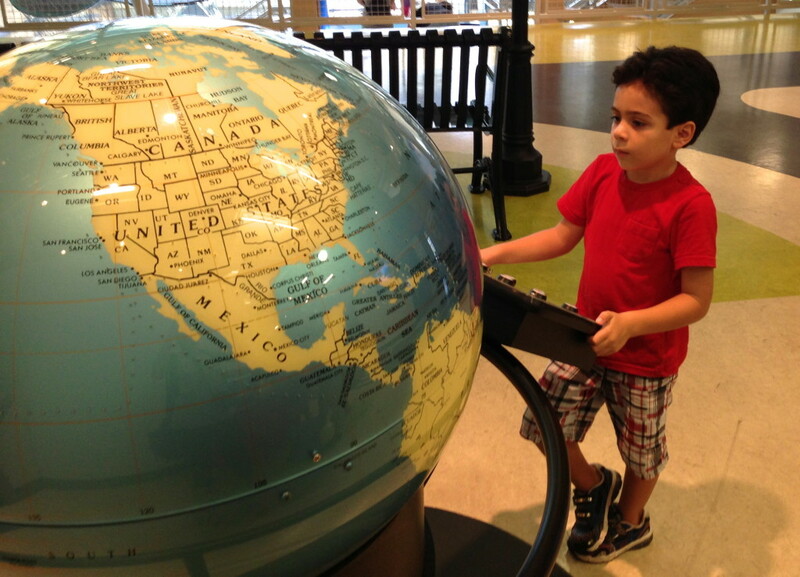 Learning about world languages at the Glazer Children’s Museum. My big girl flying a biplane all by herself. Photo: Paula Bendfeldt-Diaz, all rights reserved. In the mini city my kids loved pretending to be on TV, becoming the captain of their ship, sliding down the pole at the fire station and checking the blood pressure on stuffed dogs and cats at the vet clinic. As I sat at the pizza parlor waiting for my daughter to finish preparing my fake pizza I had some time to just sit and look around and I was pleasantly surprised not just by the amount of the activities but by the little details that make this children’s museum really stand out like the digital checkout scanners at the Publix supermarket that show the name of the item and price on a screen and the fire truck that has a video simulator of Tampa streets that kids can control. Something else that I noticed was that this place was impeccable. Everywhere I turned I could see smiling staff members picking up toys and putting things in their place. My big girl making pizza for me. Photo: Paula Bendfeldt-Diaz, all rights reserved. 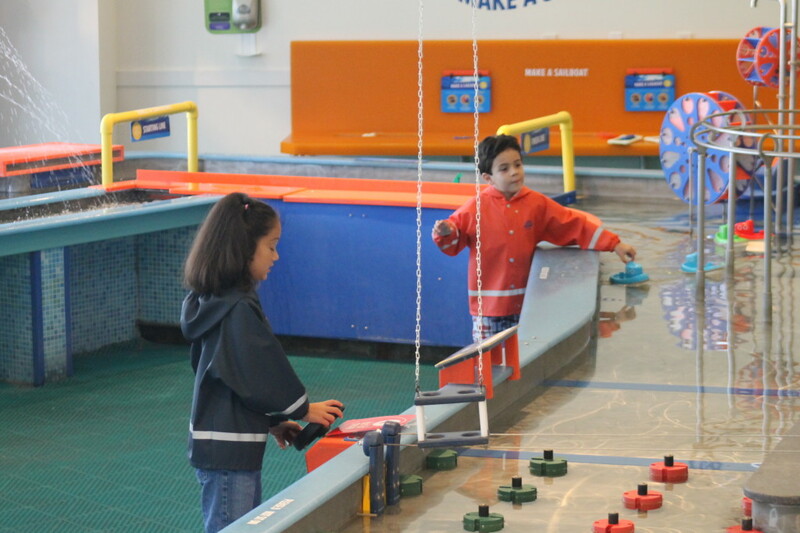 One of my favorite things about the museum was the Water’s Journey where children follow the journey of drops of water from the aquifer to the clouds. Along the way, you’ll encounter some animals and insects that make their home in Florida watersheds. My kids had a blast climbing on the 35’ tall Water’s Journey play structure. Photo: Paula Bendfeldt-Diaz, all rights reserved. 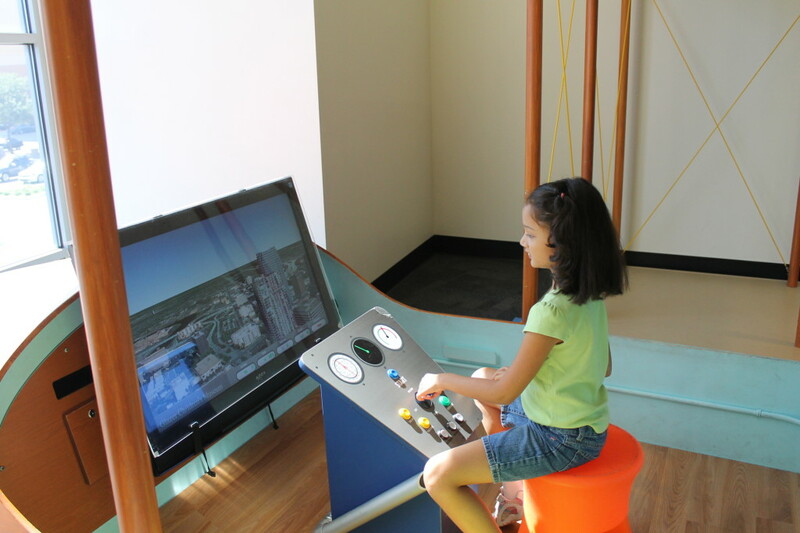 The Glazer Children’s Museum is the perfect place to spend the day with the kids in Tampa. 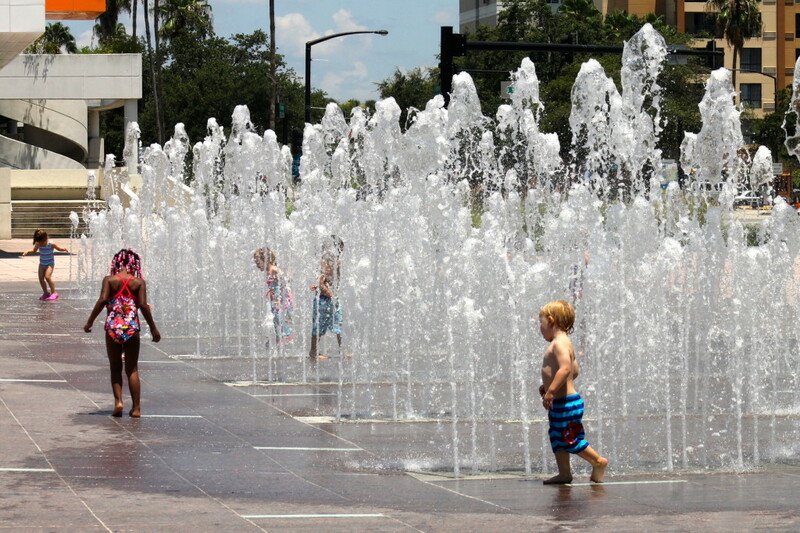 Bring a pick nick or get a sandwich from the Subway located in the museum and enjoy it outside in Curtis Hix park where you can delight in the view of the beautiful Hillsborough river while your kids play in the interactive high tech children’s playground or cool off in one of the two splash zones. One fo the splash areas at the Curtis Hix Park, right in front of the Glazer Children’s Museum. Photo: Paula Bendfeldt-Diaz, all rights reserved. The museum is open 7 days a week and admission is $9.50 for children, $15 for adults and children under 1 are free. If you are planning to go more than once consider getting the annual pass, which will save you a lot of money. 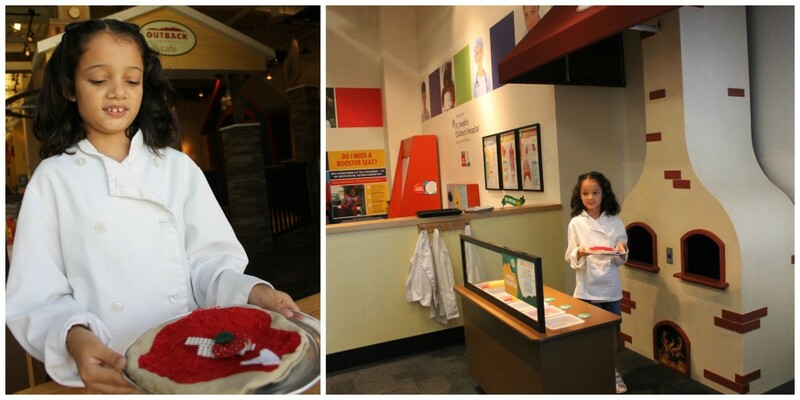 Check the Glazer Children’s Museum’s website for hours of operation and special discounts. There is always something fun going on at the Glazer Children’s Museum, connect with the Glazer Museum on their Facebook page and follow @GlazerMuseum on twitter to stay informed of their latest news and events . ROBOTS-4-U Summer Camps Now Enrolling - Save 60%! Qué museo tan lindo! Hace mucho que no visito uno. Que interesante este museo, ademas los precios son accesibles. Para tener en cuenta si visito Tampa, gracias! Se ve super emociante este museo! espero tener la oportunidad de ir pronto! Wow, que rico se ve todo. Justo visitamos Tampa con unos amigos hace un mes y nos hubiera encantado llevar a su nena a este museo. Lo anoto para la próxima. Love the Children’s Museums. This one looks great! Lo tendré en cuenta para nuestra próxima visita a Tampa. Tengo que llevar a la Pequeña a Tampa para que conozca, seguro le encantara, gracias por la recomendación!